Many years ago (2003) I began with a dream of a child to make my own website. 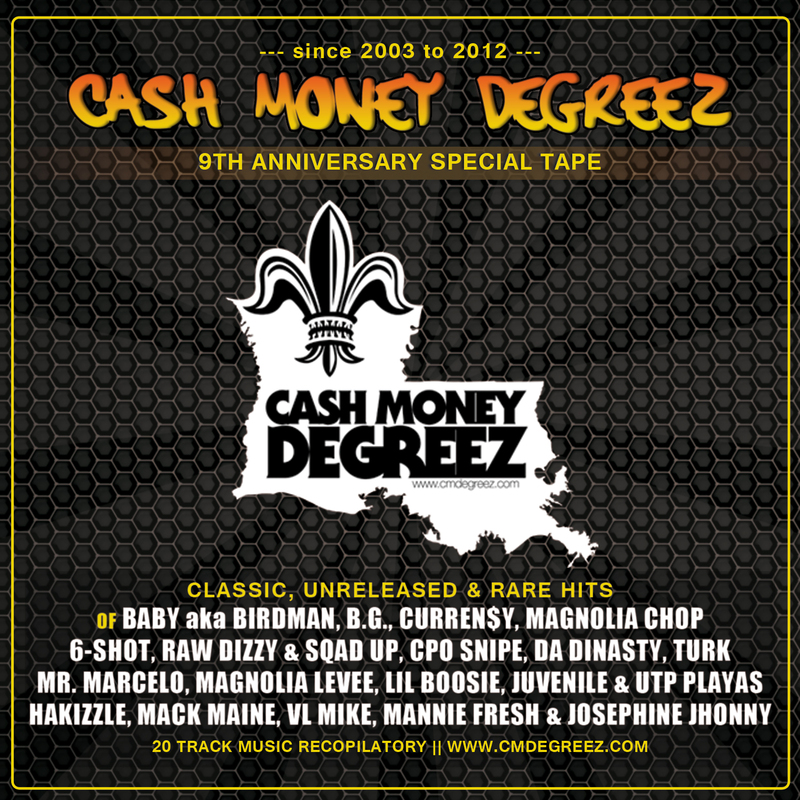 By then, Cash Money was a record label who lived the post-hot-boys era. 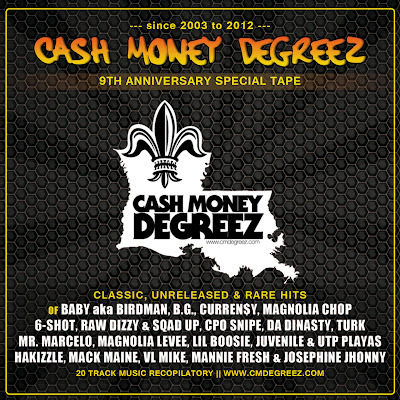 Over the years, CMDEGREEZ has been year after year trying to bring the latest news from our favorite rappers. We have also grown! Now we are a website that we promote any artist across Louisiana, not only stars!!. Its very difficult to me, a guy from Spain, still with this dream after 9 years. Without you, this never happened for so many years. Thanks all the visitors!!!. No doubt bout we will keep updating, offering good music, great songs and reviving material and living our passion for rap and bounce of New Orleans. We're plannin to get more interviews and more articles. Anyone who can be a part of this website, please holla at me!!! I wanna make a special thanks to: My people from Switzerland; Lambo & Manuel, people from CMR Boards; Money Mack, 4-Staar, Choppaboy & Tarik, people from CCR Boards; CCR Boy, LVHotBoy, Dizzle... and Kayotiic from WordOfSouth, Toni, Topballer 87, my whoodie Wase, Speedermen, Duque, Piripi, Ochoa, Dj Nead, the whole Madrid Pimps collective, the Circus-Circus radio show staff (Johnny Son and my brother Vic Vega), Neoghost, the Left Coast Gang and all people who support me in this adventure. Special thanks to Paulitxups, you know who are you! Special thanks to Magnolia Chop, Magnolia Levee, Sinista, Jason Lyric, 6-Shot, Raw Dizzy, Dj 5150, Dj Hektik, LD Herb, Ceto, Calliope Var, Mr. Marcelo, Young Juve, Ke'Noe, Mannie Fresh, CPO Snipe!!! You can download totally free, hope you enjoy this recopilatory! HERE IS MY SPECIAL GIFT FOR OUR ANNIVERSARY! thanks for the shoutout Kruze the King :) long live to your site,u deserve more than the views!see ya homie! You deserve the sucess. Ive been a fan of your site for a long time.Question tho,how could i get in contact with you about old cashmoney song that ive never been able to find? mail me or add me in AIM under the name "kruzeone"